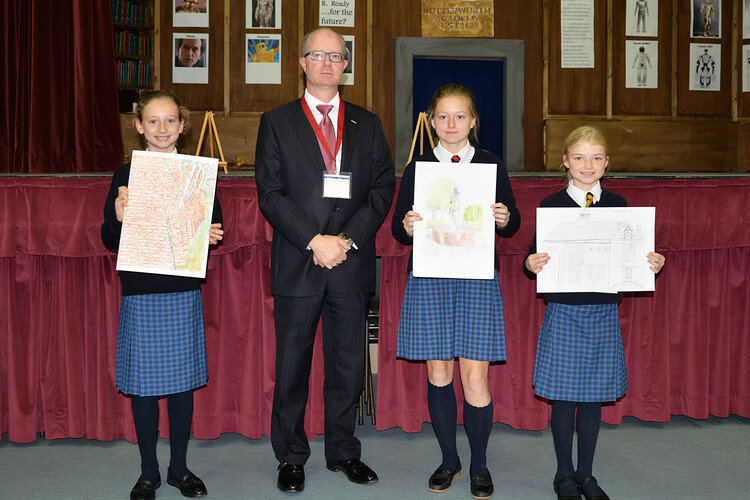 During the summer holidays, Prep School pupils were given the challenge of an art competition. To tie in with the College’s 150th anniversary celebrations they were asked to draw something with an architectural or landscape theme from the College campus. The prizes went to Amber M. (1st prizes for her sketch of the Centenary Gardens fountain), Olivia S. (2nd prize for her colour sketch of an aspect of the Swimming Pool) and Imogen F. (3rd prize for her pencil drawing of the Memorial Hall). Each of the prize winners will receive a voucher for art materials.